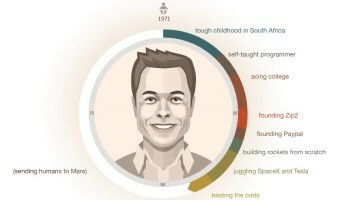 If imitation is the sincerest form of flattery, then Elon Musk should be blushing. In addition to the increased competition from big auto manufacturers, there are also now many venture-backed startups that are now kicking tires within the electric vehicle industry. According to Tracxn, a startup intelligence platform, some of Tesla’s rivals include Faraday Future, NextEV, and Atieva. This set of companies has raised hundreds of millions from prominent venture capitalists in a bold effort to emulate the success of Tesla, which had its shares skyrocket from $17 to north of $200 since the company’s 2010 IPO. Faraday Future is possibly one of the more interesting names on this list. Backed by Chinese internet billionaire Jia Yueting, the company is notoriously secretive and hasn’t publicly revealed its CEO. It has however, hinted that its technology could potentially help mount a serious challenge to Tesla. Faraday Future executive Nick Sampson, the former head of vehicle and chassis engineering at Tesla, said that the company’s goal was to “revolutionize mobility the same way the iPhone revolutionized the phone industry”. The company plans to build vehicles with a Variable Platform Architecture (VPA), which allows for vehicles to be built with multiple motors, along with powertrain configurations that can be customized for specific power, range and driving dynamics. Faraday Future recently broke ground on its $1 billion Nevada factory, aiming to launch its first vehicle for sale in 2017. NextEV, another EV startup with Chinese connections, has reportedly raised more than $500 million from big names including Sequoia Capital, Tencent, and Joy Capital. Started by William Li, who previously founded the largest provider of car-pricing data to Chinese dealers, the company has a similar vision to that of Faraday Future: it plans to focus on connectivity and infotainment features to take the EV beyond just a form of transportation. To help guide in this plan, NextEV has hired Martin Leach, who previously served as the president of Ford Europe and also the CEO of Maserati. 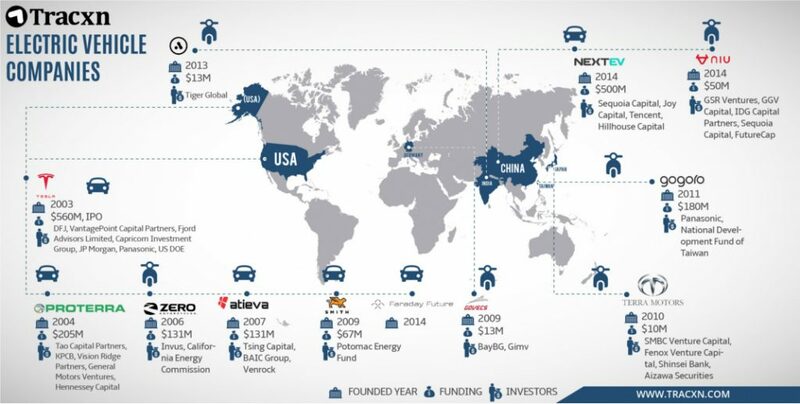 Lastly, Atieva has made recent ground in the EV market after securing the majority-backing of one of China’s largest automakers. Founded in 2007 by Bernard Tse, who was also originally on Tesla’s Board of Directors, Atieva initially planned to provide monitoring software for electric vehicle battery packs. Today, the company has now reportedly moved towards manufacturing EVs with the vision of “redefining what a car can be by building an iconic new vehicle from the ground up”. Building an electric car company from the ground up is a daunting task, and many imitators have already failed spectacularly. Fisker Automotive, for example, famously declared bankruptcy in 2013 even after burning through $1.4 billion in funding while losing $35,000 per car. It’s possible this list may look way different in the near future.